If you are like most people, you probably never give your toilet a second thought as long as it works. If it doesn’t work however, it can get aggravating really fast. Once you find yourself with a leaky toilet or worse, a money flushing toilet (think lots of water used to do the job), then it may be time to think about a replacement. 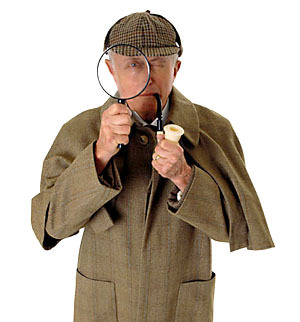 You might be surprised at the flushing power and water efficiency of today’s modern toilets. For $100-150, you can install a new toilet that flushes quickly and with very little water….think 1.4 gallons! Your water bill will thank you! I know, I know, it’s a dirty job, but someone has to do it. 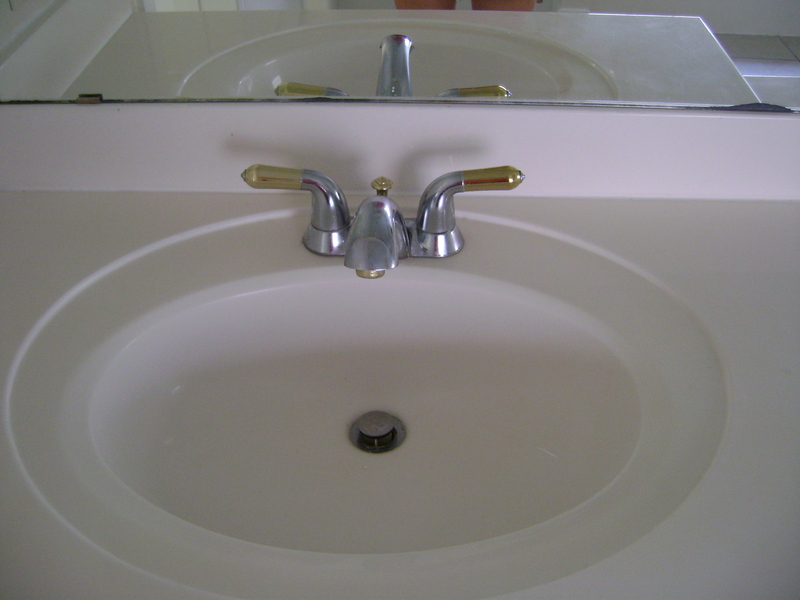 Unless you want to pay a plumber, the good news is that it is fairly easy and quick as a do-it-yourself project. Day 3 has everyone hopping at my friend’s house! 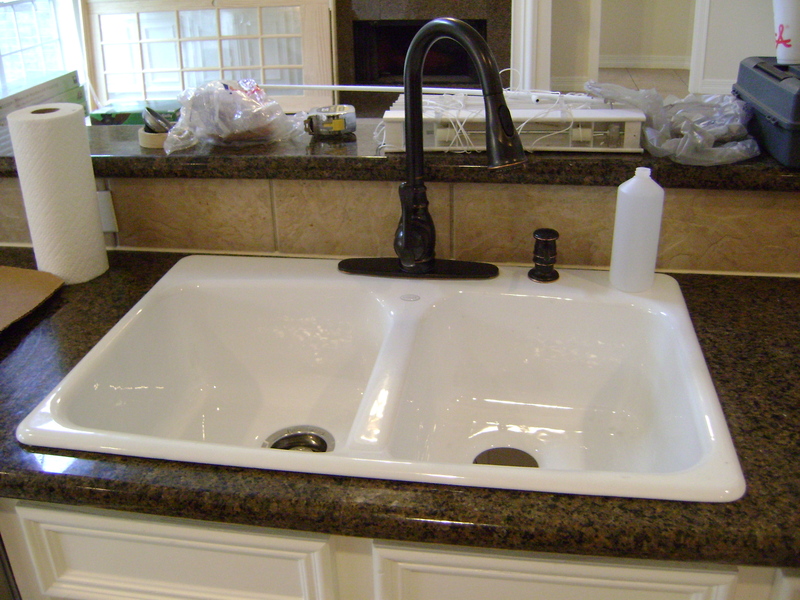 With white cabinets and dark granite, she decided to switch from a stainless sink and faucet to a nice white Kohler sink with a Delta oil rubbed bronze faucet. 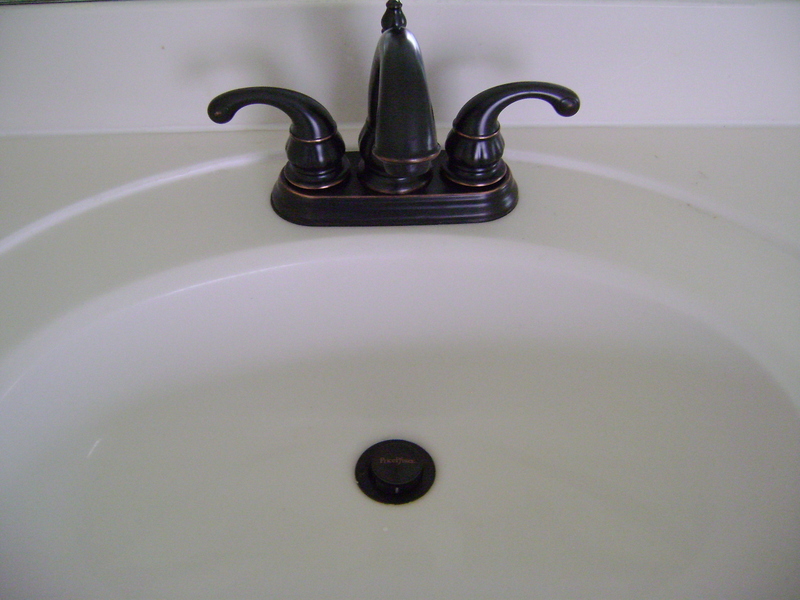 I love the contrast the new sink provides. I think she’ll be very happy with the finished project. 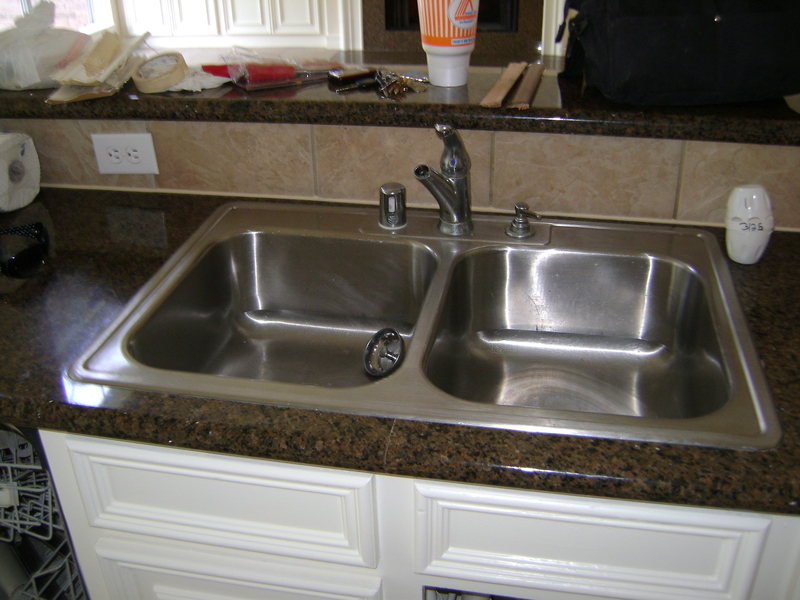 Advice: This type of project requires a little more advanced plumbing know how since it may involve some modification of the underside drain plumbing if a new sink’s drains don’t match up exactly to the old ones. 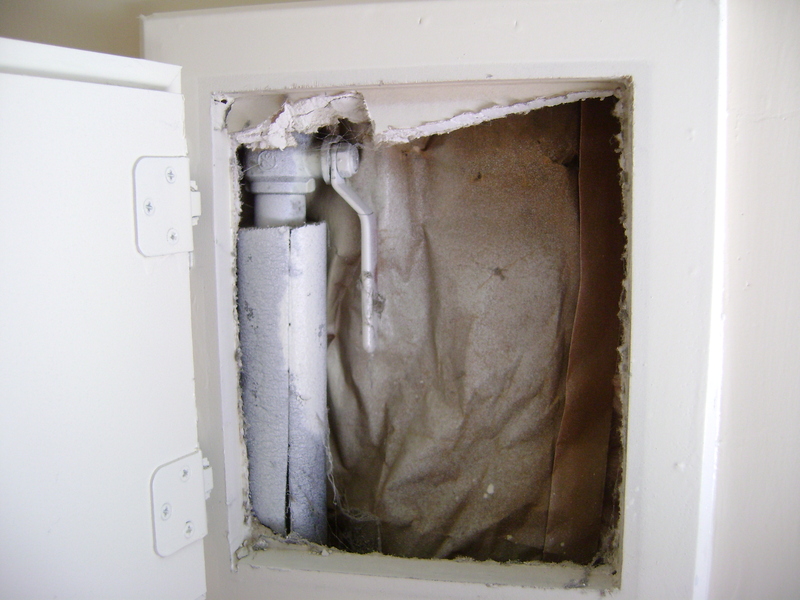 However, this is not a complex job that takes many hours, so if you do decide to hire a plumber, allow 3-4 hours at the most in their estimate; the parts should also be relatively inexpensive since they are standard PVC pieces that they are reassembling. A little time and money can be saved though if you do the removal yourself following the steps below!